As a young family in Toronto, you may have noticed that your old car isn’t quite made out for family life – or you’ve never even owned your own before. When you’re single in the city, it’s easy to get by without your own vehicle, especially thanks to car sharing. But once you start your family, you start wanting the independence and reliability of your own mode of transportation, and it needs to be a car that’s made for family life. Before you set out to buy your first family car in Toronto, you want to consider these 4 key factors about your circumstances: safety, size, environment, and price. Safety is your number one concern, and that’s what’s brought so many drivers to SUVs. The 2017 Mazda CX-3 has outstanding crash test results, and Mazda always fares well when it comes to safety. Size is another important factor, especially as your family grows or grows up. Whether it’s another kid, a dog, or duffel bags full of sports equipment, you’re going to want lots of room in the back and in the trunk. Compact and subcompact SUVs, like the Mazda CX-3 and CX-5, have spacious interiors for growing families and they’re not so big you can’t drive around (or park) the streets of Toronto. You can find the full range of new Mazda cars right here at Yorkdale Dufferin Mazda, including bestsellers like SUVs. Finally, there’s the environment: if you’re out in the country, you may want something that can handle the dirt roads and unplowed highways. In Toronto, you want fuel economy, comfort, and safety, as you’re going to get stuck in traffic on your commute and deal with plenty of busy highway traffic. 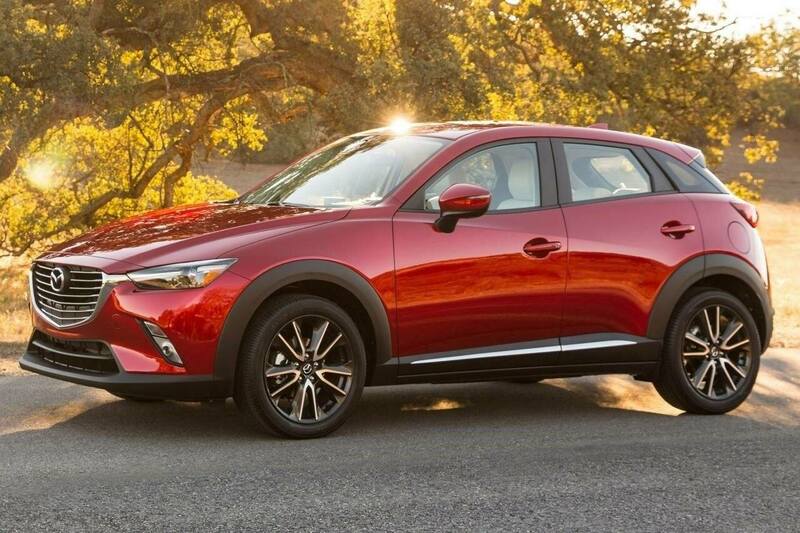 The Mazda CX-3 and CX-5 are some of the most affordable SUVs on the market, too, and you can find them at great prices any day, or lease with our monthly deals on Mazdas. If you always want to keep a recent model in your driveway without having to go through the process of trade ins or selling used cars, leasing is the way to go. Once you’ve decided what you’re looking for, the next step is to decide where you’re going to buy it. We have a proven reputation at Yorkdale Dufferin Mazda – just look at our customer reviews. We also have a full showroom of all the latest Mazda cars, monthly promotions, leasing options, and financing options. Our sales team is knowledgeable and here to help, while we pride ourselves on our 100 percent transparent pricing. When you come to Yorkdale Dufferin Mazda, you can rest easy knowing you’re getting the lowest possible price. We stick with you long after you’ve signed the paperwork; our service center never keeps customers waiting. Not only do we consider it our job to get you behind the wheel of the right Mazda for you, we also want to care of your new family care and get you back on the road in a timely. When you have a young family, you don’t have time to wait for mechanical issues. Between work, daycare, school, and the grocery store, you’ve got enough on your mind and no time to be late. While you’re busy taking care of your family, stop by our showroom and let us take care of you.